Transform into a dashing, debonair gentleman with the help of our skilled barbers at HERRERA’S BARBER SHOP. Sit back, relax, and let our experts give you the ideal haircut that will enhance your masculine facial features and match your overall style. Visit us today and discuss the kind of look you have in mind with our team. From sleek and classic to sharp and edgy, we have you covered. 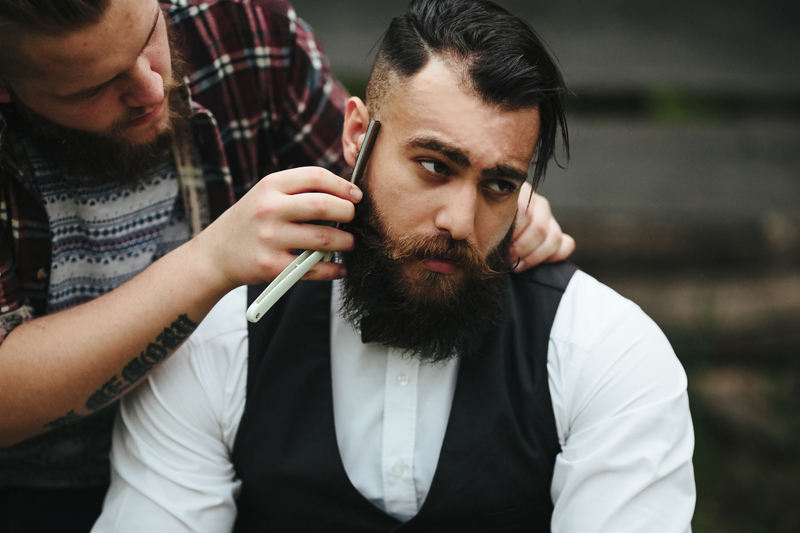 We are the barber shop of choice of modern men in Riverside, CA. Since the first day it opened its doors to the public, HERRERA’S BARBER SHOP has redefined the barber shop experience by providing consistent and professional customer service. This makes us the top choice of many residents throughout the area for all their grooming needs. Head on to our shop and let our barbers help you achieve the look you have always wanted. We have set up two different locations within the area for your convenience. Enjoy Great Deals From Us! Not even old age can stop you from looking stylish and on point. Drop by our barber shop today and get your hair done by our professionals! We offer discounts for our beloved senior customers. To learn more about our company, barber services, or senior discount program, feel free to give us a call! Dial (951) 637-3707 or (909) 936-1681 and speak with our friendly representatives.